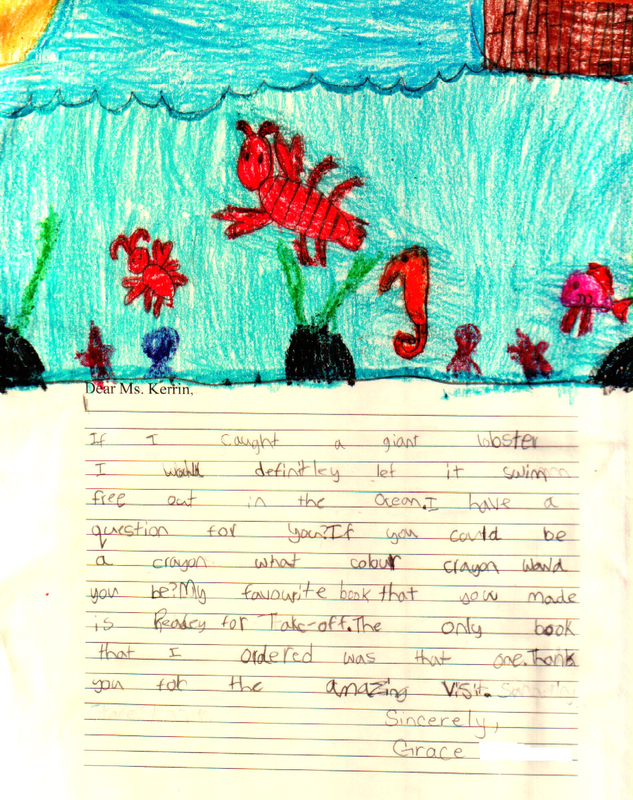 Your underwater drawing of plants and sea creatures is remarkable. It is exactly what I saw when I went scuba diving near Peggy’s Cove, Nova Scotia, except for the seahorse, which I didn’t come across. There were plenty of lobsters and jellyfish, though. Well done! You asked an interesting question: if I was a crayon, what colour would I be? 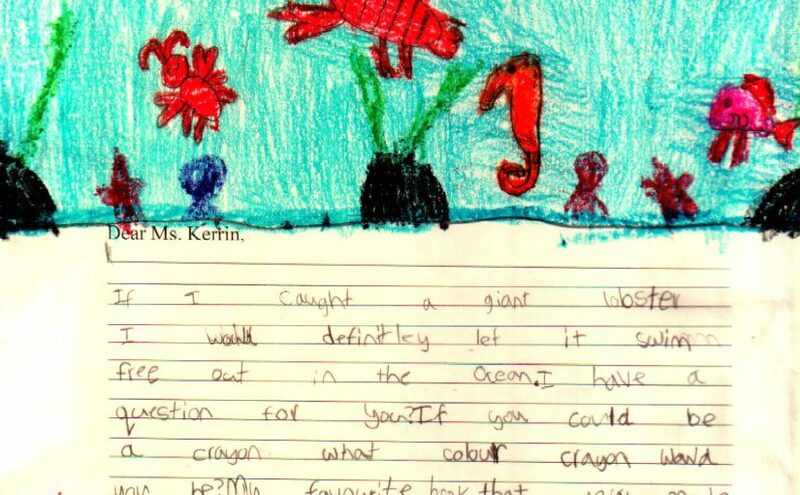 My answer is that I would like to be a red crayon. I always pick red if I am playing a board game and there are red players from a bunch of colours to choose from. I am guessing that you might like to be blue, or maybe yellow because of the sun you managed to tuck into the corner.